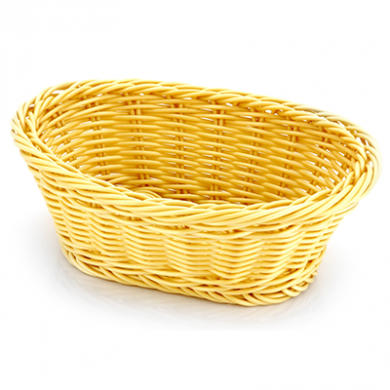 Heavy duty oval poly-rattan basket 19cm x 14cm. Perfect for loaves of bread, individual rolls, fruit and vegetables. Makes a great addition to any table setting or buffet display. The basket functions efficiently over a long life whilst maintaining the aesthetics and feel of a natural product. 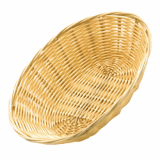 Oval heavy duty poly-rattan basket.